Twenty years ago, a dank, lawless, congested and compacted city located just outside Hong Kong was evacuated and destroyed, putting an end to the nearly century-old settlement first created as a Chinese military fort. 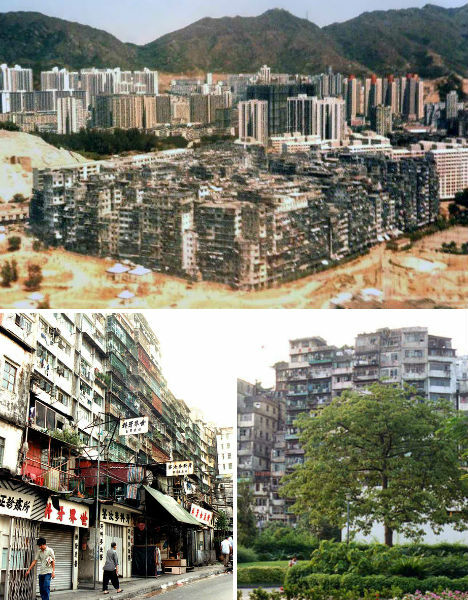 Kowloon Walled City was packed with at least 50,000 inhabitants in 6.5 acres just before its demolition in 1993, and its history included a period of mob rule with sky-high rates of prostitution, gambling and drug use. 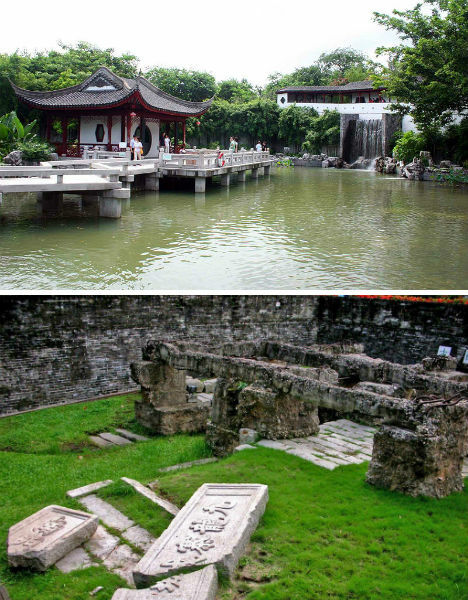 Today, it’s the Kowloon Walled City Park, a tranquil place modeled on traditional gardens of the early Qing dynasty. The former fort became an enclave when Britain gained control of the New Territories, which is one of the three main regions of Hong Kong. 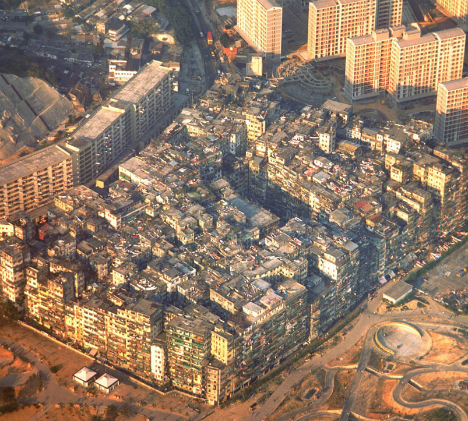 During World War II, as the Japanese occupied Hong Kong, the walled city’s population began to multiply dramatically. Once Japan surrendered, China announced plans to take back the city from Britain, and even more refugees poured inside, increasing the number of squatters to 2,000. Unable to drive them out, both China and Britain washed their hands of the situation, allowing it to rule itself. But it was hardly a democracy that rose inside Kowloon in response. Underground mob groups increased already-rampant crime, taking control of brothels, gambling parlors and opium dens. Hong Kong police would only attempt to infiltrate the city in large groups. 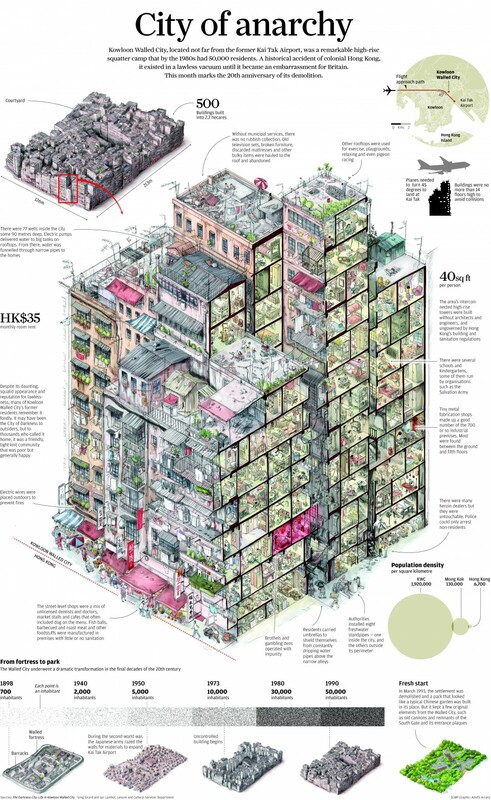 The architecture of Kowloon Walled City was haphazard, rising vertically with such narrow alleyways on the interior that sunlight rarely penetrated to street level. Pipes constantly dripped onto pedestrians. Children climbed to the rooftops to play. Many interior apartments had no windows. These factors came together to give it a dystopian feel, popularizing it as a setting for novels and games. Exasperated with the unsafe, unsanitary conditions, China and Britain mutually agreed to tear it down. In its place, a 330,000-square-foot park was created, completed in 1995. Paths and pavilions inside are named after the streets and buildings of the vanished Walled City. Some artifacts, like entrance plaques and the city’s south gate, are on display. Where the city’s 300 interconnected buildings once stood are now floral walks, ponds and carefully cultivated gardens. Catch a glimpse into Kowloon Walled City’s fascinating past at the website of photographer Greg Girard.